Henri Giugni is not your average Audubon Cooperative Sanctuary Backyard member. 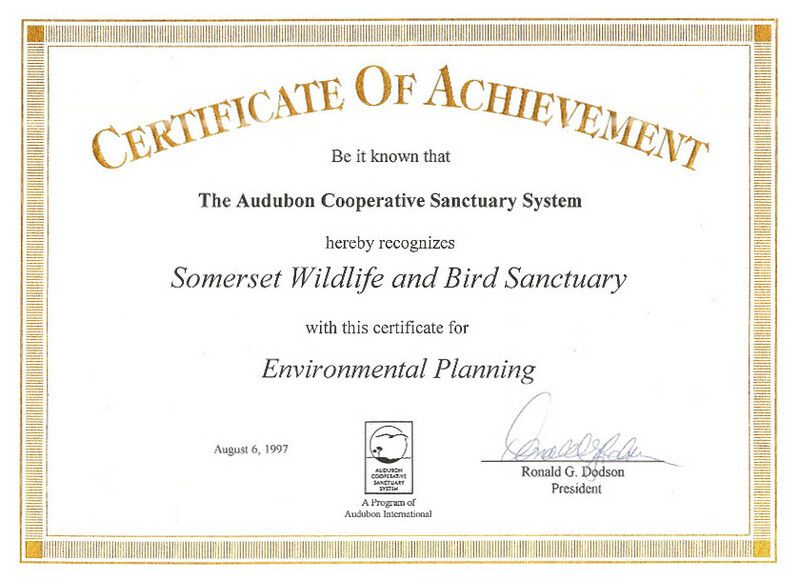 His yard is truly a sanctuary, the Somerset Wildlife & Bird Sanctuary located in Harvard, Illinois. It is property that has wetlands, ponds and streams, as well as forested areas and open space…..and wildlife a plenty! 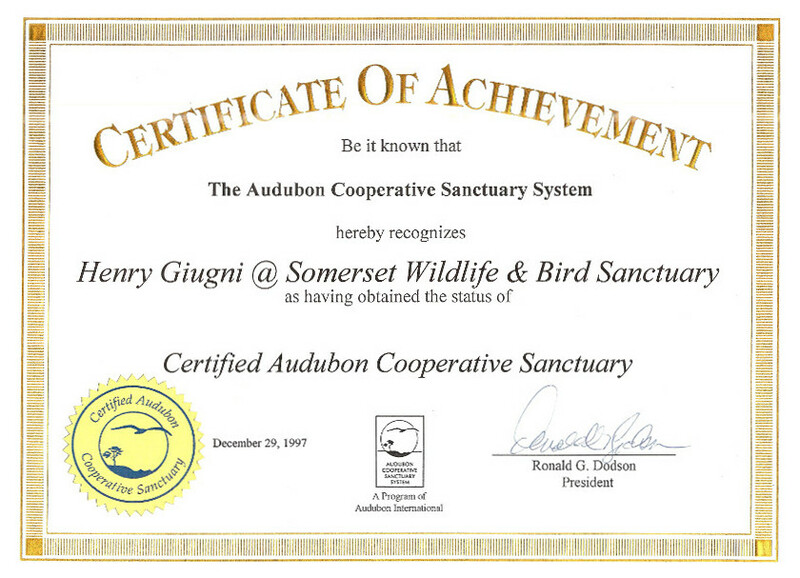 Mr. Giugni joined the ACSP for Backyards in April 1997 and the Somerset Wildlife & Bird Sanctuary recently achieved status as a “Certified Audubon Cooperative Sanctuary” in December 1997. In its present condition, Somerset is a property that is magnificent and unique, but it wasn’t always that way. 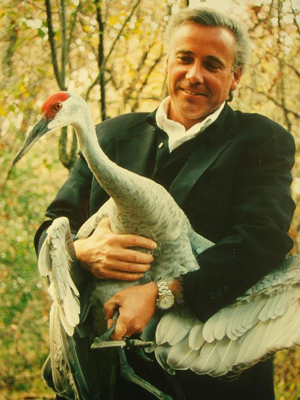 Mr. Giugni has taken on the task of restoring land that was heavily impacted by human activity and mostly devoid of wildlife into a splendid oasis for many species of birds, mammals, plants, reptiles, amphibians, and insects. 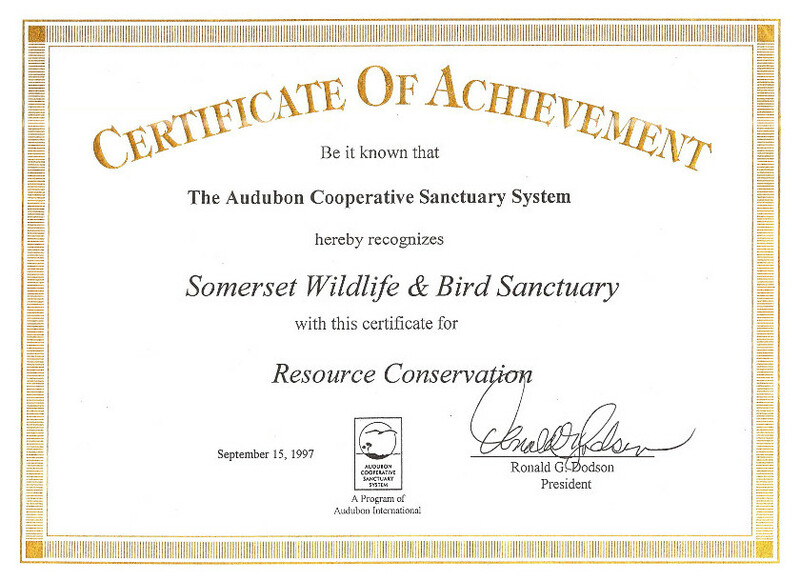 The Somerset Wildlife and Bird Sanctuary is the first backyard to be certified in the state of Illinois. Some of the large scale wildlife habitat enhancement projects that Mr. Giugni has initiated include: creating over 40 acres of wetlands, establishing 25 acres of pond and stream areas, planting nearly 50,000 conifer trees, naturalizing areas around wetlands and planting several food plots that include sunflower, corn and millet. 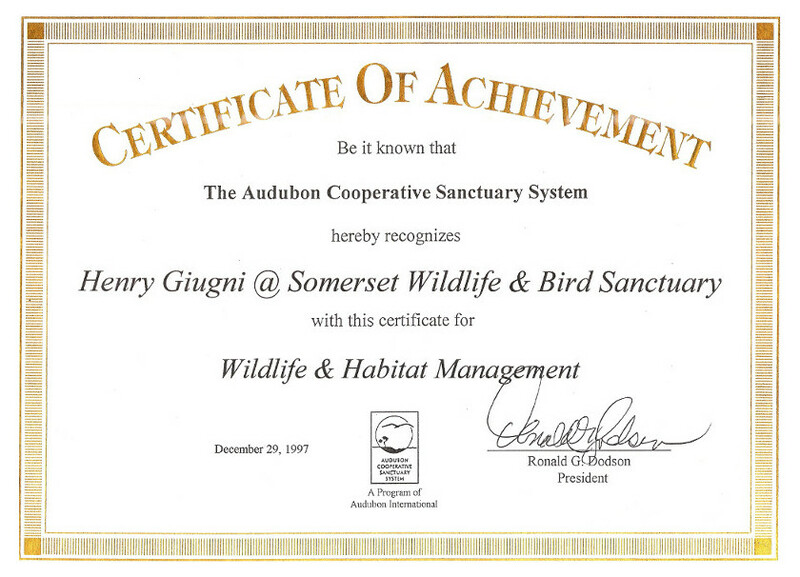 Mr. Giugni has many plans for the future of the Somerset Wildlife and Bird Sanctuary. He has established goals to increase native prairie plantings, build an education center for the local community, involve local schools, and secure additional acreage for wildlife. His enthusiasm and hard work make him a great inspiration for all ACSS cooperators and anyone who treasures the world we live in.